Hawaii Who Needs a Commercial Drivers License? To drive a Class A, B,or C commercial vehicle,you must have a Hawaii Commercial Driver’s License (CDL).These types of licenses (as well as whichever endorsements may be required) are necessary when operating double/triple trailers, passenger vehicles,vehicles marked for hazardous materials, and tanker vehicles. 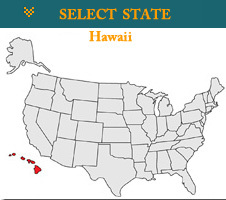 To qualify for a CDL in Hawaii,you must be at least 21 years old,have a valid Hawaii driver’s license, pass a vision exam and obtain a medical certificate. Applicants then need to take a general knowledge exam and a skills test.The three part skills test includes a pre-trip vehicle inspection,a basic vehicle control test and an on-road driving test.For the driving test,you must use a vehicle in the same class for which you are trying to obtain a CDL license–for example,if you wish to obtain a Class A CDL, you must test in a Class A vehicle.